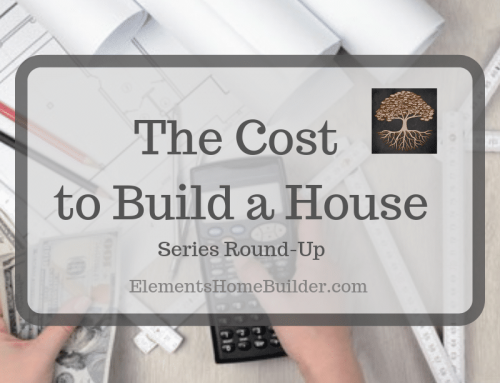 As you’ve shared your dream of building a custom home with friends and family, you’ve no doubt heard a horror story or two about going over budget. Whether it’s $1,000 or $100,000, exceeding the specified amount the bank approved is not a good scenario. In this case, either you have to come up with the cash from your own pocket, the bank has to loan you even more money, or (worst case) you can’t finish building the house and the bank sells it. Absolutely no one wants these situations to happen. 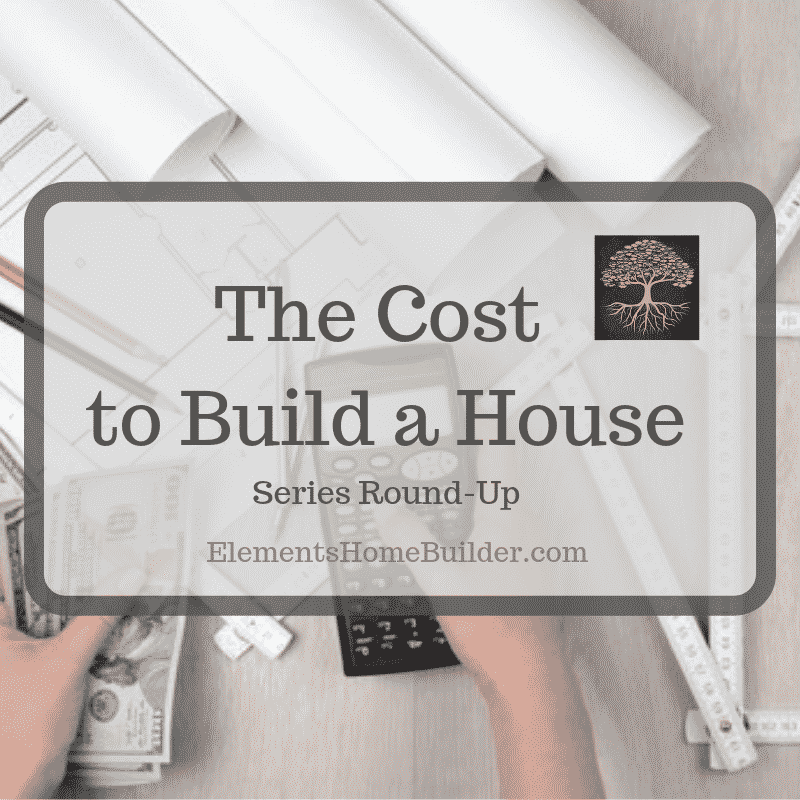 So, let’s talk about how to stay in budget when building a home. 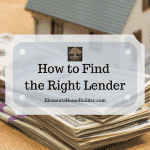 The only way to truly know your budget is to find out how much money a bank will loan you. So, before finding land or designing floor plans, obtain financing. 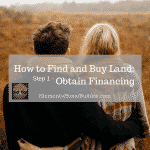 When you find land, financing will already be in place so that you can proceed with an offer. You won’t risk falling in love with a house plans design, only to discover that you can’t afford to build it. A professional and honest builder can have more authentic conversations with you about which finishes will (and won’t) fit into your budget. In order to stay in budget when building a home, changes must be minimized during the building process. 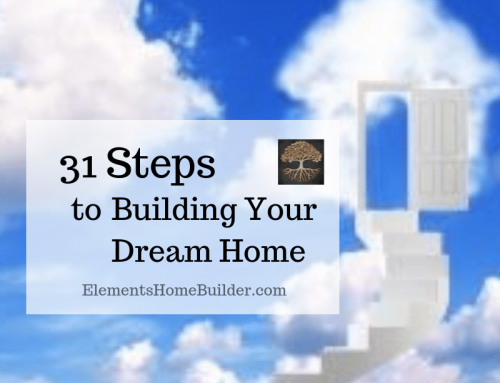 That means, you have to know how you want your home to look and function before building begins. 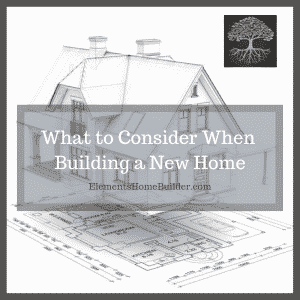 Because these thoughts need to be clearly communicated to your house plans designer and home builder, this step requires commitment and time. 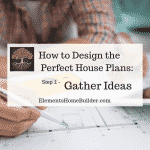 While this step can be fun, gathering ideas from Pinterest and Houzz, there is also an extensive list of questions you should answer during the “Gather Ideas” phase. At this point, please do not fall in love with any finishes or house plans. 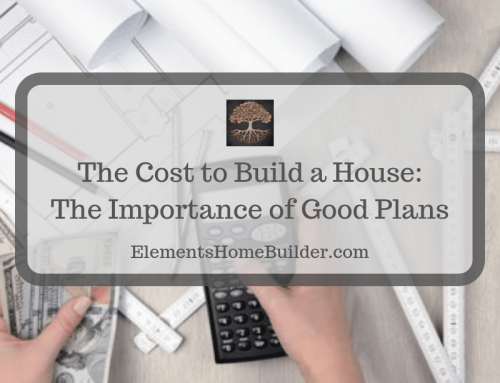 Until you speak with a builder, there are no guarantees that your ideas will fit into the budget. 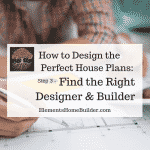 As stated in tip #2, your thoughts must be communicated to a designer and builder. 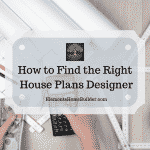 In order to clearly articulate to potential designers and builders, it is imperative that your ideas be clearly categorized—what you must have and what you want to have. 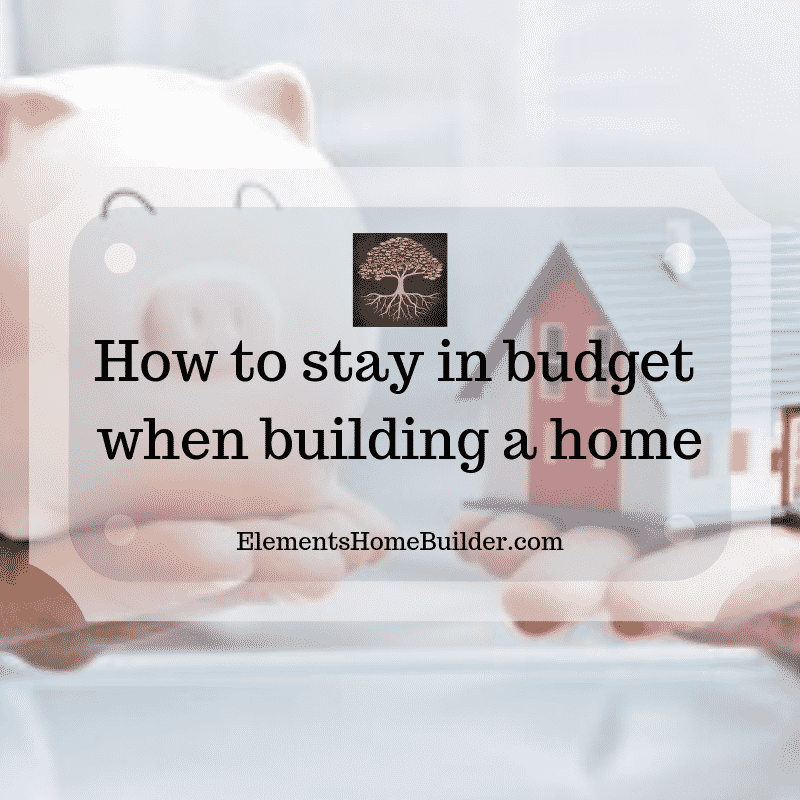 In this way, it will be easier for you and your designer/builder to stay within the all-important budget. So, you need to take your ideas from tip #2 and organize wants and needs. Yes, unless you have unlimited funds, it’s time to scrutinize those ideas. 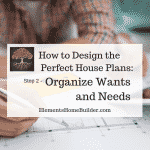 Now, you must organize wants and needs in order to get the right features that fit realistically into your budget. Remember the word of caution from tip #2 – don’t fall in love with anything just yet. Well, keep that in mind now, too. Just because you believe something is a “need” does not automatically mean it will fit into the budget. We have already mentioned that you must clearly articulate your wants, needs, and expectations to your house plans designer and custom home builder. These individuals should clearly articulate their processes, schedules, and fees to you, as well. 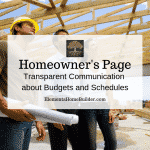 Yes, clear and transparent communication is paramount in order to stay in budget when building a home. 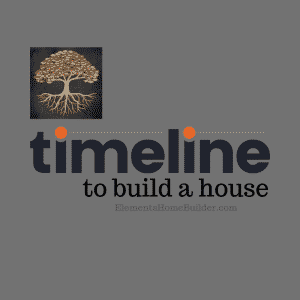 Because of this, some home builders use a construction management software during the home building process. In order to stay in budget when building a home, you need a team of professionals who are also concerned about staying in budget. That said, be wary of designers and builders who says everything you want is beautiful and do-able and should definitely be part of your home. Honestly, you need people who are willing to have tough conversations and say, “I’m sorry, but that isn’t within the budget.” Hire professionals who can tell you “no,” when needed. 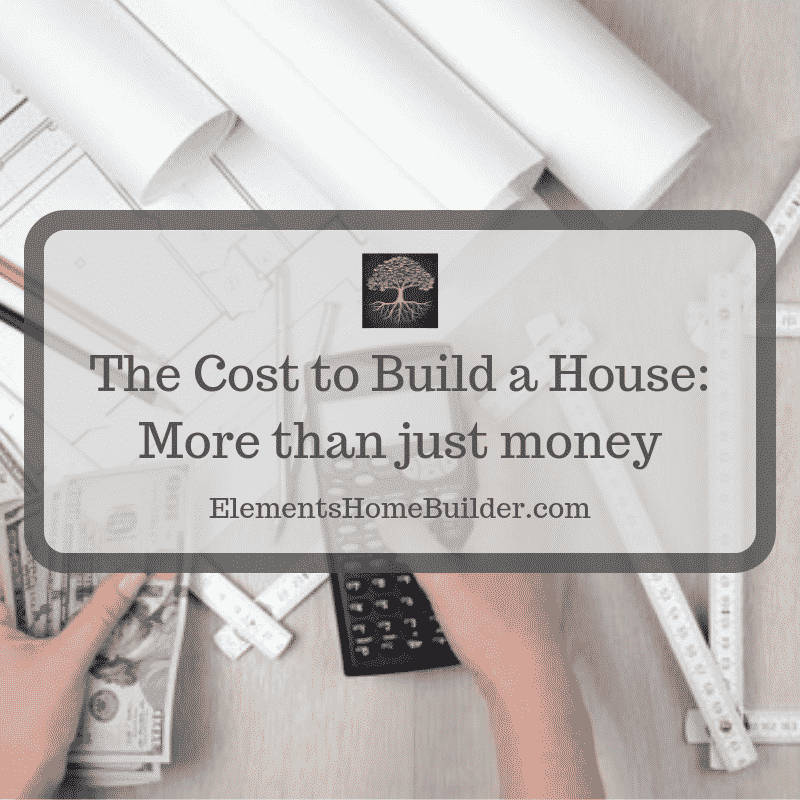 As stated earlier, clear and transparent communication is key if you want to stay in budget when building a home. With a design build firm, you not only find a qualified builder, but also a designer to create your house plans. Thus, building and design go hand in hand. This allows for better communication, with budget being considered at each step, and a smoother construction process. 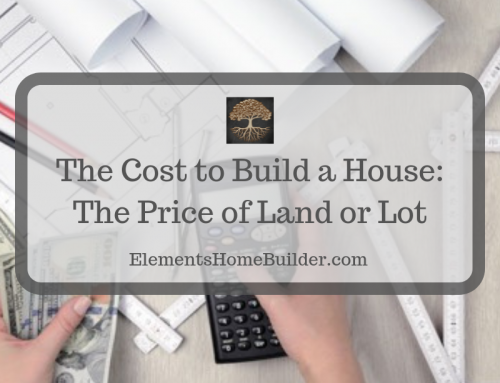 Ultimately, if you want to stay in budget when building a home, you must make budget your #1 priority during the building process. This means, if the cost of lumber goes up, causing that line item to go over budget, then you must be willing to cut somewhere else in order to keep the over-all cost on track. So, you might have to cut a paint color or choose more moderately priced light fixtures. Just remember that finishes can be changed later. Also, will that beautiful (and expensive) light fixture be worth it when you are stressed because your monthly payments are more than you needed them to be? Make budget a priority in order to protect your finances, ensuring your dreams truly do become reality. 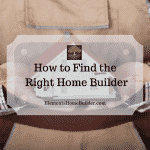 Want more information about building a custom home? To learn more about Our Design Build Process, click here. 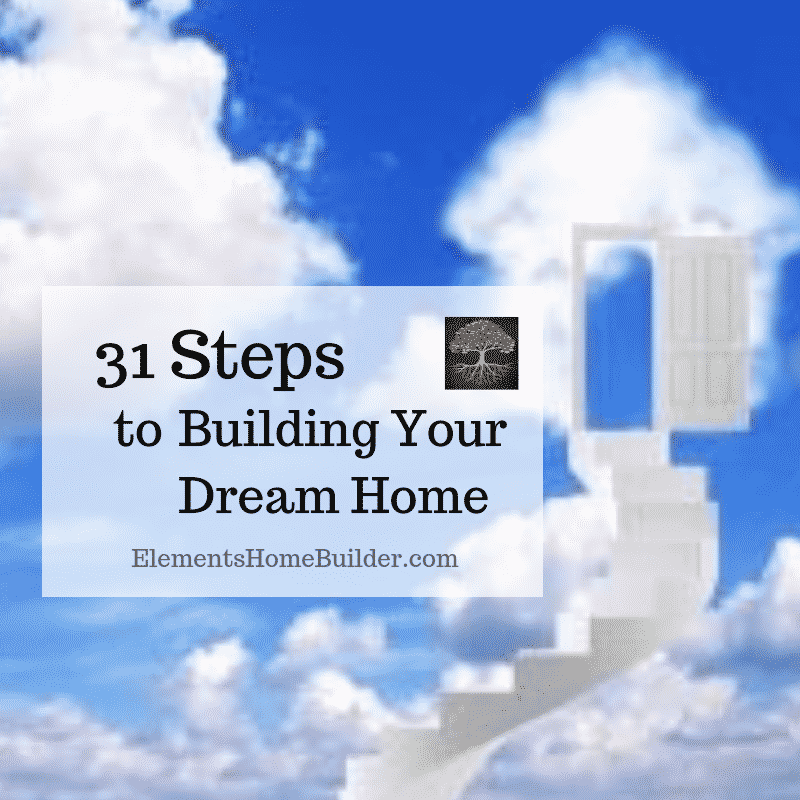 To check out Elements House Plans, click here. Contact us to start your Elements of Life Analysis© and let us put you in your Element! 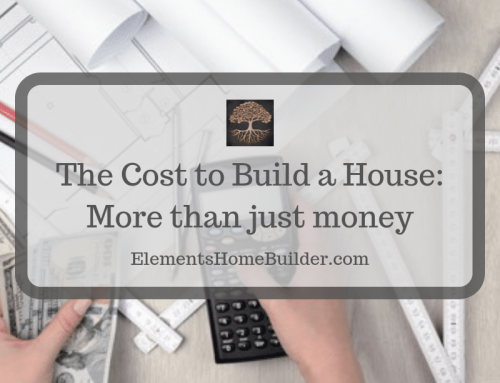 An article with 7 tips about how to stay in budget when building a home, including links to other articles with more information about financing, house plans, finding the right designer and builder, and building a new home.